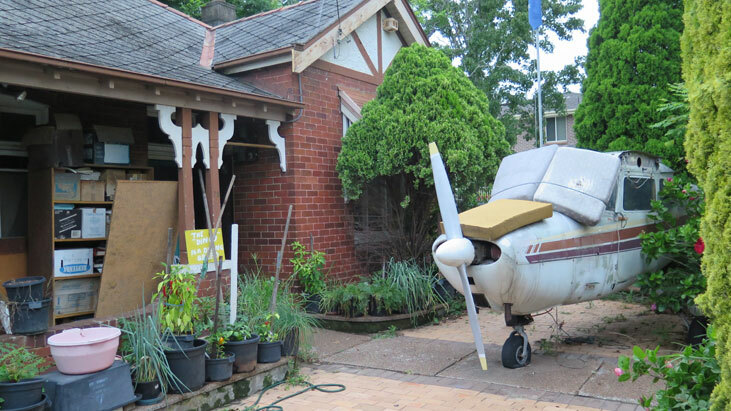 The bottom of Oxford Street, Burwood, has Sydney's only private airport. 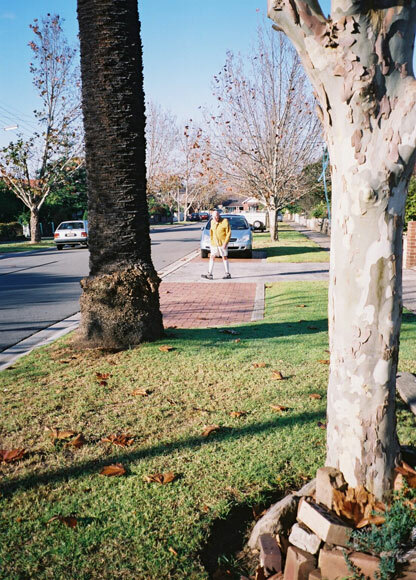 The local council at Burwood Heights provides tiled spaces in the lawns beside wide streets for the owners of each house to park their cars. This example is in Kelso Street. Do you get the feeling that Busby residents were fairly happy with the performance of this former Australian prime minister? Rest time in Green Valley Road, Busby. If you've ever inspected teeth that are aged 92, you'll know why for me it's not an apple, but a banana a day that keeps the doctor away. A blue virus spreads along a fence corralling pedestrians up a path off Albany Street, Busby. 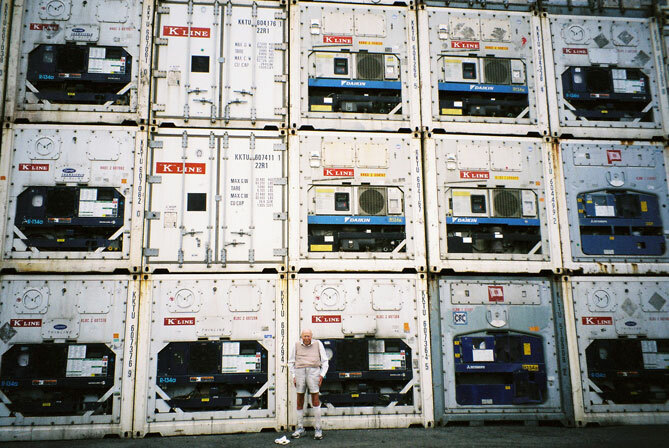 A montage of containers contains Alan. The every-changing patterns tower over Grand Avenue, Camellia. Remember half a century ago when our washing lines provided choice of angles? They still do in Maple Close, Canada Bay.